Porcelain veneers are thin covers made out of porcelain. They are used on front teeth that have been chipped, fractured, or damaged. Sometimes they are used for aesthetic purposes on front teeth that have become yellow or darker over time. First of all, you need to talk to your dentist about your oral condition and what you expect from the treatment. 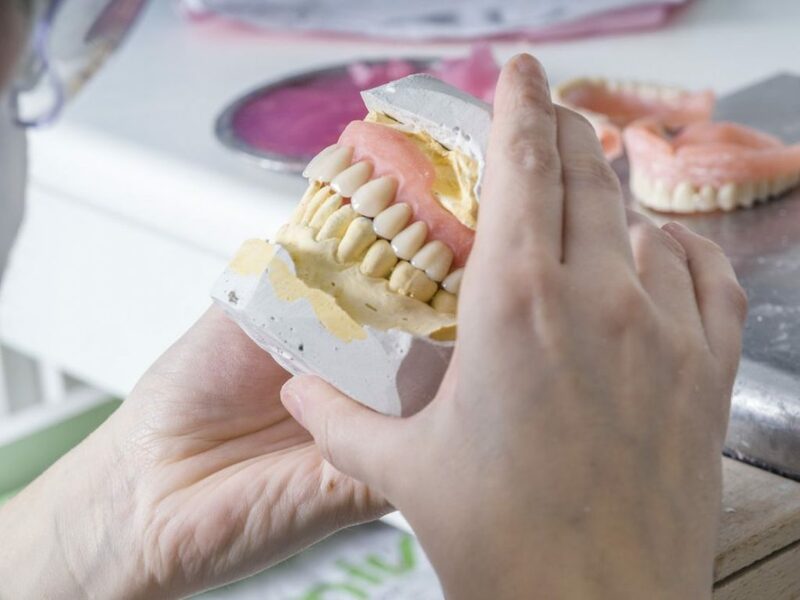 You may or may not know at this point if porcelain veneers are an option for you, and if you’re unfamiliar with them, you should discuss them with your dentist thoroughly and resolve any doubts or concerns you may have. Your dentist might require you to take some X-rays of your teeth before recommending veneers. Once the process has been approved, your dentist will use a local anesthetic and then proceed to remove ½ a millimeter of the enamel from the front of each tooth that will receive a veneer. This is more or less the thickness of the veneer. Also, this removal means that the veneer will be permanent and the procedure can’t be reversed, although the veneer can be replaced if needed. Once the enamel has been removed, the dentist will make an impression of your tooth. A dental laboratory will then create the veneer. In some cases, for aesthetic purposes or for teeth that are in danger of breaking, a temporary veneer will be placed while the permanent one is prepared. Preparation usually takes 1 to 2 weeks, but Costa Rica Dental Team has a complete in-house dental lab so that priority is given to international patients in order to get their veneers done much sooner. Once the veneer is ready, the dentist will place it but not glue it to the tooth in order to see how it fits. If any adjustments are needed, the dentist will perform them by trimming the veneer. Also, the dentist may shade the veneer in order to achieve a natural color that goes with the rest of your smile. After this, the dentist will clean and polish the veneer, before applying a special type of dental cement in order to glue the veneer to your tooth. A special light is then used in order to harden the cement in a very short amount of time. Finally, the dentist will clean the area and give you a mirror so you can admire your new perfect front teeth. including pricing information with you. Just call today to discover what new veneers can do for you.